Advice about warranties, including; what they are, types of warranty, and repair and replacement options under warranties. What is a consumer guarantee? What you should know about buying online, including; buying from a private seller, buying from an Australian business, buying from an overseas business, safety tips, group buying and daily deals. Information on how to become a Nominated Manager for a business who holds an electrical licence. Doing work for no payment (gratuitous work) in the electrical, plumbing and gas-fitting trades. Information on how to become a Nominated Manager for a business who holds a plumbing licence.  Information on how to apply for a licence in Tasmania if the applicant has been trained overseas. Information on how to become a Nominated Manager for a business who holds a gas-fitting licence. Information on how to become a Nominated Manager for a business who holds an auto gas-fitting licence. How long do I have to wait to get my security agent licence? Do I need to register to work with vulnerable people? Search for a licensed trade or building services provider, conveyancer, motor vehicle trader, security agent or asbestos licence holder. How do I record my CPD? Directs the Training Providers through the process of applying for CPD points, and provides the application form, meeting the criteria and the assessment. Ongoing Training Resources - PowerPoint presentations, audio and digital recordings of CBOS and industry association training events and ongoing training programs available both online and in person. Information for councils and other permit authorities on illegal building work, building administration fee, categories of building work and requirements for temporary occupancy permits.